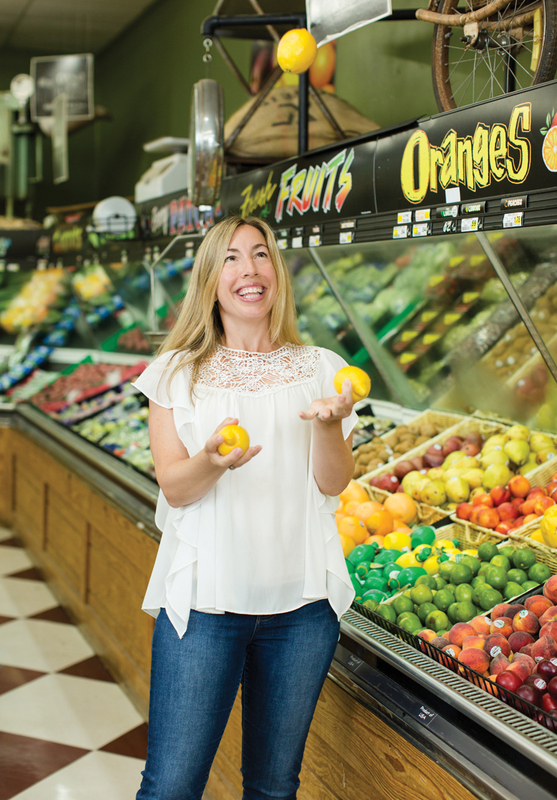 Three local moms list their top five ingredient picks to throw in the grocery cart each and every visit, keeping a busy household happy and well-fed with minimal fuss. Bradley King’s mom, Lynn Clapper, was a great inspiration, setting a well-balanced meal on the table most every night of the week. Bradley inherited this gift, cooking tried-and-true recipes from classic Southern Junior League cookbooks. 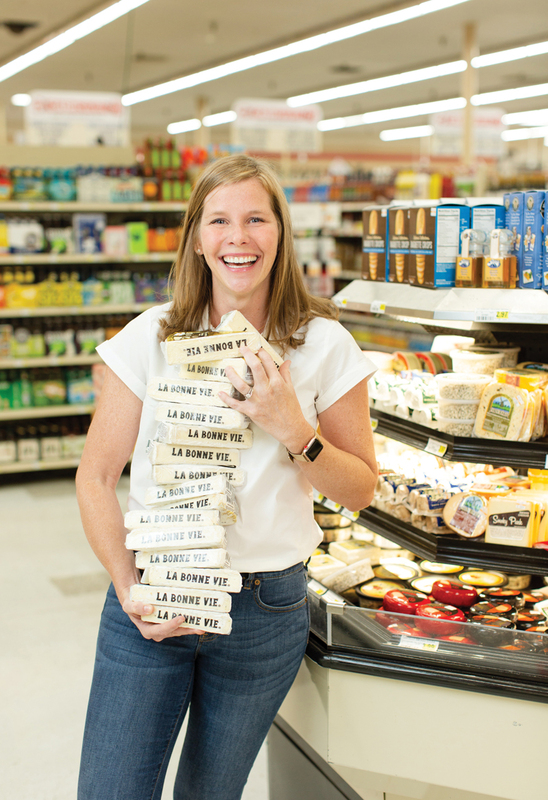 But eight years ago, Bradley’s approach to cooking changed when a new book and a subscription farm box challenged her definition of eating well. She got her hands on New Orleans chef John Besh’s cookbook, “My Family Table: A Passionate Plea for Home Cooking,” which championed made-from-scratch meals. At the same time, she began receiving weekly boxes of local produce straight from area farms through the Windmill Market in Fairhope. It challenged her to eat seasonally and skip the processed ingredients that might have been lingering in her cooking. “I still love the traditional recipes I grew up with. I just modernize them a bit and lighten them up. Keep it fresh.” She also adds, “I’m nuts about sugar,” claiming the entire family has a major sweet tooth that she struggles to avoid. 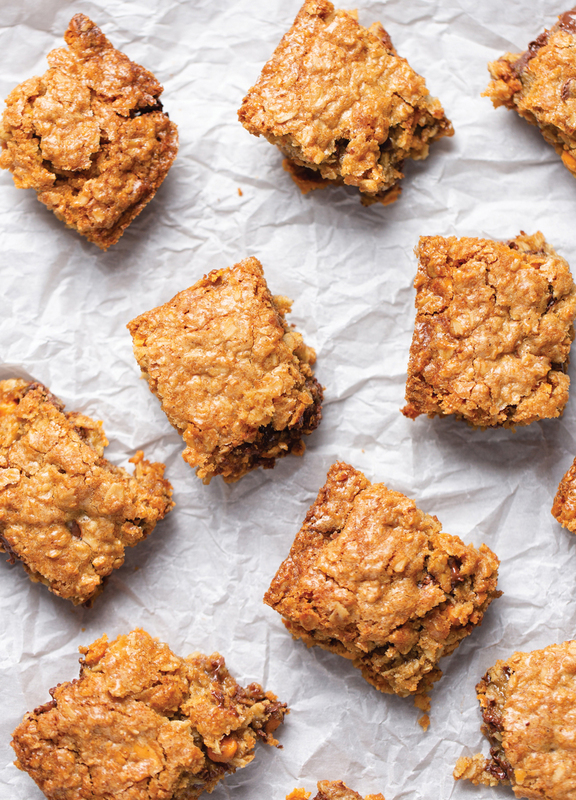 Keeping mostly made-from-scratch foods in the forefront helps keep menus wholesome, with an occasional sweet treat like these oatmeal scotchies thrown in for good measure. It has a bunch of uses besides the typical porridge: granola, snacks, cookies, even quick oat flour for baking recipes! For an on-the-go breakfast, smoothies, banana muffins and kid-friendly snacks, we never seem to have enough! A natural sweetener on oatmeal, cornbread and biscuits. Also add to smoothies or drizzle on peanut butter sandwiches. I cook a couple of chicken breasts in my slow cooker at least once a week for chicken tacos, chicken salad or pasta dishes. It saves time when our family has a busy night of sports. This is my last effort of the day to get something healthy into my kids, even if it is covered in ranch dressing! This quick, family-favorite sweet treat was passed down from my mother and adapted from a Nestlé Toll House recipe. It’s the perfect dessert on the go! 2. Combine flour, baking soda, cinnamon and salt in a small bowl. Beat butter, granulated sugar, brown sugar, eggs and vanilla in a large mixing bowl. Gradually beat in flour mixture. Stir in oats and morsels. 3. Grease a baking dish or jelly roll pan. Spread dough into prepared pan. Bake for 18 to 22 minutes or until light brown. Cool completely on wire rack. Cut into squares, like brownies. Makes 2 dozen. Although Kelly grew up in a home full of good cooks — or maybe because of that fact — she rarely stepped foot in the kitchen until she moved out on her own. “Everyone was shocked when I came home from college and made dinner!” But her cooking evolved through the years, especially as she married and had children. Each milestone taught her something new. But, she says, nothing influenced her quite like the meal plans provided by Naturally Strong with Nonie. 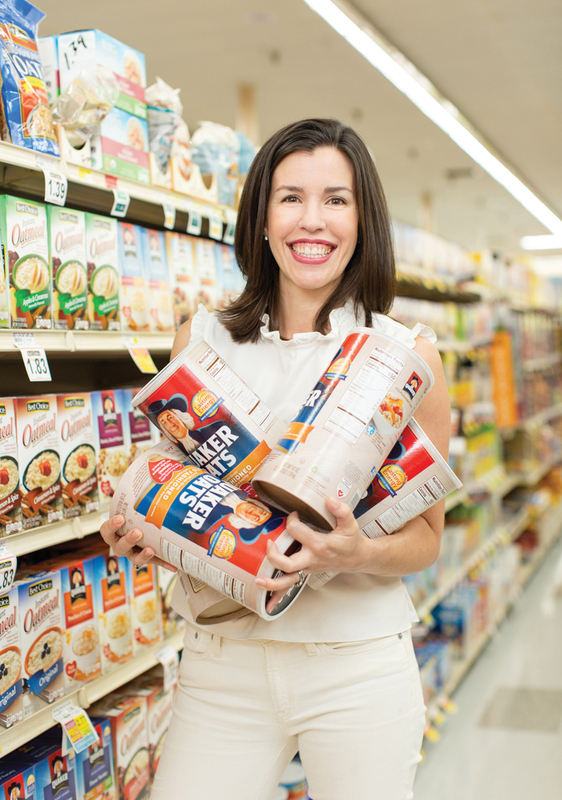 “Going gluten-free and dairy-free seemed so daunting! But her recipes and substitutions are delicious and healthy, and have completely transformed how we eat.” Kelly lets her three daughters help pick several of Nonie’s options that sound good to the whole family, helping get the kids’ buy-in. Then Kelly doubles up on some recipes to get through a busy week of school and activities. Meal planning sets her up for a successful week of healthful eating with less stress in the kitchen. When the family doesn’t quite hit her mark, Kelly lets it go. “Everything in moderation,” she adds. These are at the top of the list! Fresh-squeezed lemons are great on seafood, veggies and the best for whisking up a quick salad dressing. Our kids had a blast this summer pressing lemons to make homemade lemonade for our neighborhood lemonade stand. These two go together beautifully for so many of our favorite dressings and marinades. I love to make cilantro lime chicken bowls with cauliflower rice, black beans and cherry tomatoes. This is my go-to protein for quick weeknight meals like oven-baked meatballs with zucchini noodles, veggies and tomato sauce and everyone’s favorite, turkey burgers. Our 10-year-old loves making fresh guacamole, and avocados are a great dairy-free alternative to replace cheese on fish tacos, black bean soup, burgers and salads. For a quick lunch we’ll slice avocado and a hard-boiled egg with a squeeze of lemon and pinch of kosher salt and pepper. The kids love grinding their own almond butter at Fresh Market. It makes a great after-school snack, like mixed into energy bites with oats, honey and chocolate chips or spread on halved bananas with a sprinkle of oats and chocolate chips. This recipe was on Naturally Strong with Nonie’s very first meal plan, and it stays in regular rotation at our house. It’s so good and even husband-approved! I serve it with homemade lemon dill dressing by my friend Kathryn Watkins. 1. In a large bowl, combine first six ingredients, and mix well. 2. Form mixture into five equal patties, or make a few larger ones along with a few kid-friendly sliders. 3. Heat olive oil spray in a skillet on medium heat. 4. Cook patties until nice and brown, flipping a couple of times. 5. 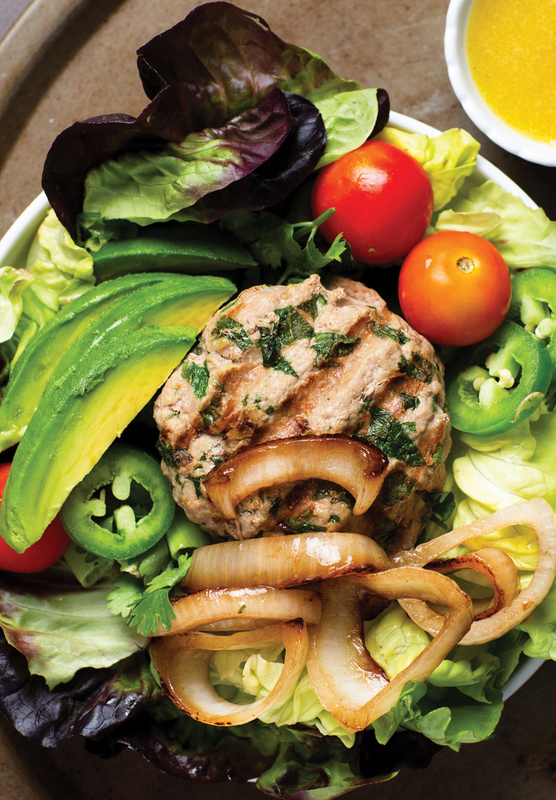 Instead of a bun, serve over a bed of lettuce topped with caramelized onions, avocado slices and toppings of your choice. Makes 5 burgers. My son really will eat a bell pepper like an apple, but I prefer stuffed and baked with panko, tomatoes and Italian sausage. Jake loves to marinate them in Italian dressing and grill them. We also roast them for an easy spread that we bake on top of chicken with feta or goat cheese and spinach. To upgrade, use the feta dip from Food Pak. Amazing! We shred to hide in chocolate chip mini muffins; roast it with Parmesan, fresh minced thyme and lemon slices; make zoodles for a side or base for spaghetti; or bake “boats” with tomatoes, bread crumbs, Parmesan and parsley. We roast a whole chicken and shred the meat for tacos or a pot pie, cut it for a charcuterie board or put it in the stock pot for chicken noodle soup. There are so many ways to roast a chicken, but always bring it to room temp before cooking! Keep the bones for stock; I keep a gallon bag in the freezer with bones and veggie scraps, then simmer for an hour for easy stock. We buy direct from local chicken farmers like Sweet Grass Pastures out of Lucedale or Nature Nine Farms in Foley. We do charcuterie once a week. The kids can choose which cheese, meat, nuts, crackers and fruits they’d like for supper, and everyone has fun, à la française! They serve as a quick breakfast, perfect pre-sports snack, and when they are beginning to brown, they either get peeled and popped in the freezer for smoothies or crafted into some eat-the-whole-pan-in-one-sitting chocolate chip banana bread, courtesy of our in-house bakers, Lilly and Anna. Rebecca recommends using a good white wine for the soup — then you can drink the rest with dinner! 1. Heat olive oil in a medium soup pot over medium high heat. Add carrots, then garlic, and stir to coat in oil. Add the zucchini, pepper and onion. Season with salt and pepper and herbes de Provence. Cook an additional 5 minutes. 2. Add wine and reduce a minute or so. Add the tomatoes, potatoes and stock to the pot. Cover and raise heat to high. 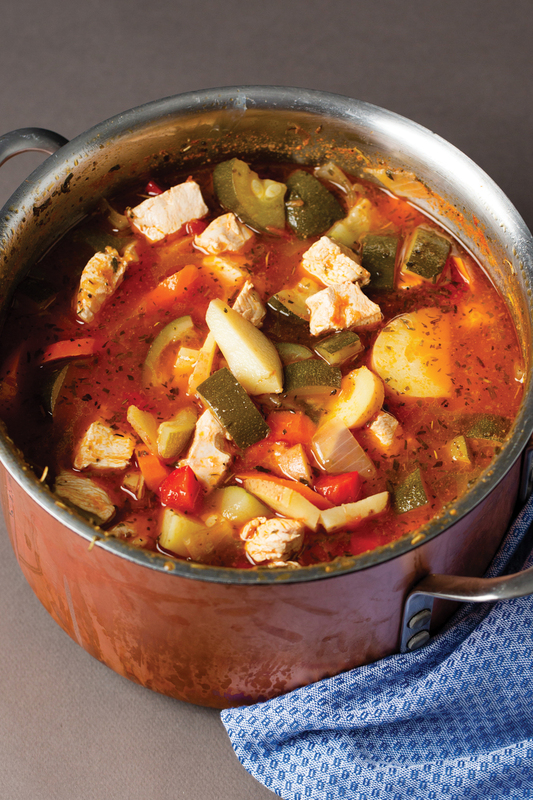 Bring the soup to a boil, then add chicken and simmer 8 – 10 minutes until potatoes are just tender and chicken is cooked through. 3. Serve with hot crusty bread for sopping. Serves 8.